Just as the tributes to the recently departed Prince was causing me to become a shade fearful that we might not witness a comparable talent with his scope and easy mastery of rock, rhythm, and blues, hip-hop, funk, fusion and soul, I came upon “ImPossible” (pronounced ‘I’m possible’), a new release by seasoned bassist, singer, MC, bandleader, songwriter Divinity Roxx.I’ve been playing it all week, amazed at her and her band’s effortless blend of motifs, springing from the expected springs of hip-culture and the polysyllabic bantering of rap, but incorporating the riffy drive of rock, the percussive ebullience of greased-up funk, the slow jam testimonies of a lover’s testimonial, the gospel punch of soul , the truly sobering testimonial of unaffected rap rhythm. Roxx, a precise and quick-witted bassist who’s been best known as band member and Musical Director for Beyonce, has collaborated with dozens of names in an equal amount of varying styles, and with ‘ImPossible” brings the world an album that is beyond infectious or catchy or merely entertaining (although it is all those things); she is conceptualist, a synthesizer, a musician with an actual fusion sensibility who , it sounds like , loves many kinds of sounds with equal ardor , imagines the ways the approaches can fit together coherently, effectively, powerfully, and who reveals the know-how, or “feel” how, to make this diversified project work. It rocks, it struts, it is insistent on the downbeat, propulsive on the upbeat. That is what she shares with our beloved and begone Prince, an impressive talent based on tradition but, in the corniest parlance one can manage, stands on the shoulders of giants to see what vistas lay ahead for the music. I’ve been playing it all today as I write this. Groove-tacular. 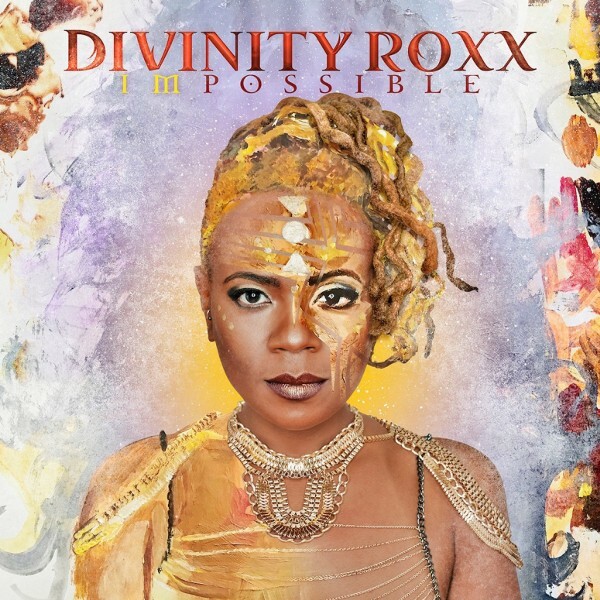 The principal shortcoming, if that’s the case at all, is Roxx’s limitations as a vocalist; there are more than one occasion on this fine record that you want to knock the ball out of the park the way Aretha Franklin can or had the husky but feminine baritone of Nina Simone to find the emotional cracks, dents, and imperfections in the words; no matter, I say. Roxx is a different generation, raised and reared in hip-hop, and she makes fine use of her voice in the old tradition of toasting; but instead of boasting, these long, percolating recitals grasp the thorny issues of racism, violence against the black community, self-esteem, the need to remain full of love in both one’s personal affairs but also in the face of the world that is hostile to your existence merely for your shade of skin tone. It does sound a little much, an overkill of I-Have-A-Dream and a stream of sentiments taken off placards, if one was relying on casual description, but Roxx and her special guest reciters, including the esteemed Victor Wooten, reveal themselves, speak truth to power, avoid the strident declarations but insist on strength, resolve, action strengthened by keeping an open heart. The effect is, as well, beyond uplifting, it is transforming. The video above, “We Are”, is a superb representation of an effort that has brightened my week. Driving riffs, blistering, joyous rhyming, determined voices joining in the march toward the day when we all might enjoy our similarities and appreciate our differences.